Specifically for up-close exposure to your mobile phone. Can be used on any wireless device for EMF and WiFi protection. Can also be used on cordless phones, power tools, and battery-operated devices. Easy to install – simply slide it between your phone and case, or adhere it to the back. The best EMF Protection for the up-close exposure of your mobile phone and other wireless devices. 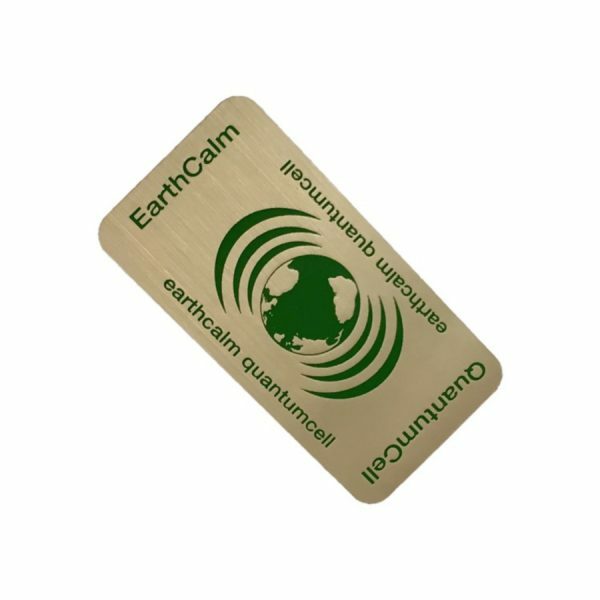 The EarthCalm Quantum Cell works on any wireless device, any size, even if you use a protective case. Works by transmuting hazardous EMFs into a beneficial field of protection. Thickness is about 1mm, which is thin enough to slide between your phone and protective case. High quality materials, built to last for years. Easily transferred to your next new wireless device.